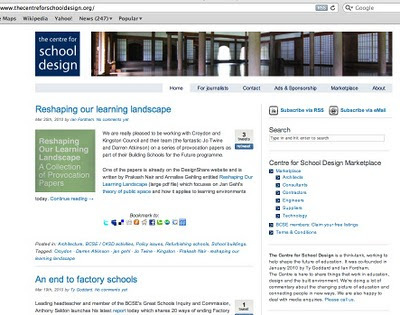 I am impressed that the relatively new website for The Centre for School Design is really proving to be an excellent collation for for lots of current literature, debate, conference/meeting reports and argument in the world of new schools. The beauty of it is its independence without political allegiance. Whilst I know that this was the purpose of it, the hard work of both Ty Goddard and Ian Fordham of BCSE in maintaining it has been really impressive. It is a 'must have' on interested people's 'favourites' to see what is happening all in one place. There are a number of people I have spoken to recently who are only just becoming aware of this useful resource, the comments have always been favourable. I really hope as more people join this site and access the content, the support will continue to grow. It deserves to! Watching people this week was really interesting! During a total signal meltdown on all trains north from Euston, (Manchester, Liverpool, Birmingham etc), advice was being given that as it was going to be very major and long delay of many hours, we should be flexible, change stations and get a train north. For me, this meant going to Manchester via Sheffield - hardly direct! 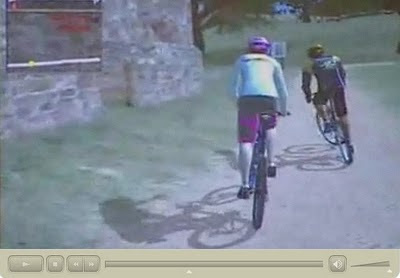 This involved making weighing up the information and making an instant decision. However, whilst lots did change station, including me, most people seemed to ignore this advice assuming that all would be fixed in the near future. It was really a case of staying in one place and the status quo will return ... if we wait long enough! This was at about 3.30p.m. My two hour journey became 4 hours plus... but I and fellow passengers were pleased we had changed ... I even had a seat all the way. As we arrived in Manchester at 8.15 other passengers who had done the same as me were talking to colleagues on the phone who had decided to stay put at Euston - they were still there! Comments included the fact that they always waited when there was a problem - it would be fixed at some stage and they were not moving. This sentiment is true it really does not show flexibility, adaptability or a willingness to try something else. Nor did it get them to their destination for a very long time. What happens if this is the approach taken by those influencing education - lets all just stay as we are, even if it is not working, and eventually we will be doing what we always do.... nothing would ever change, even if doing something differently was sensible.... Bizarre really! I have made a number of references in my blog to 'The Third Teacher' the new international school design resource book put together by the great guys at oWp/p & Cannon Design. 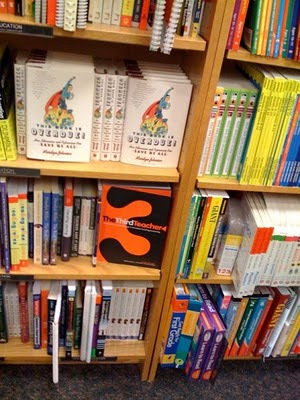 Originally distributed by oWp/p, and launched in the UK during the BCSE World Learning Environments Conference in Knowsley, it is now being stocked at Borders the book sellers. It's more than just a book, it is also linked directly to a Third Teacher blog providing posts on ongoing learning environment developments. 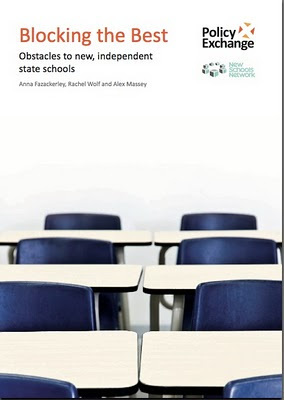 I admit to having an interest in this as I played a tiny tiny role in its development, but it really is a very good resource for all teachers and those engaged in learning spaces. I am just delighted to see it continuing to do well. As part of the launch of the Policy Exchange report (see post below), Shadow Spokesman for Schools; Michael Gove spoke about his vision of how to improve education in the UK. Michael Gove also briefly outlined his plans for changes in building guidance, including scrapping the Building Bulletins that specify in detail school room requirements, as well as reference to the curriculum and rigorous appropriate testing. This probably would be welcomed by many in reality. There is no doubt that education will be a significant issue for all the main parties. I just hope that with all the jockeying for position and talk of significant rapid change, none of them forget that the students currently in the system should be the absolute priority as well as the teachers working with them! These students only get one chance and mustn't feel that their achievements are being devalued! It's interesting reading. Some people will not agree with the politics, however most will accept that the procurement process for BSF and Academies is perceived by many as cumbersome, beaurocratic, complex and expensive. 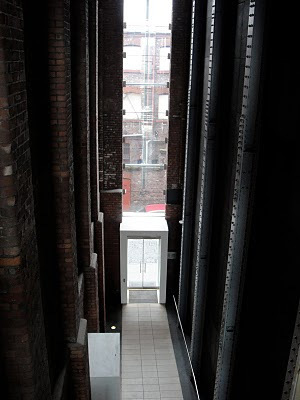 Last week I visited the very cool guys at River Media offices in the converted Tea Factory in Liverpool. What really struck me on arrival, is the fantastic job that had been done in the conversion process of the stairs and circulation areas of the building. 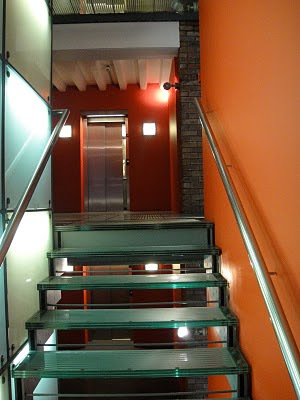 There really was a great use and combination of materials and colour; red, orange, with steel and glass for stairs and bridges. This immediately gave the impression of modern, trendy and sophisticated. There is clear evidence that colour and light can positively impact the learning process, it really IS important. Still many schools use one 'corporation colour', largely because of ease of 'patching up' and economy of mass purchase of one colour paint. However, staff and students that I speak to do want business quality environments that use colour and materials well, and DON'T appear as simply functional utilitarian spaces. They understand it makes a difference and makes it appealing for all users. However, it is not a priority for many decision makers. it is an interesting balance to get right. Working with numerous students, and teachers, PE often comes into conversations. There is no doubt that many schools across the UK are working really hard to engage those students who "don't like PE". One of the things that they are doing is a variety of new or different activities, or approaching things in different ways. The use of technology is also increasing, through gym equipment, digital cameras, laptops right through to external dance machines... - all good really. 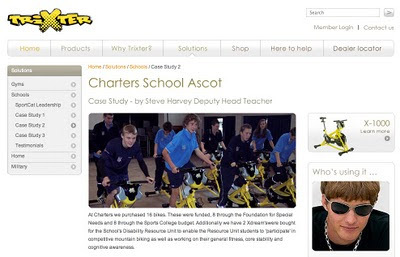 I rarely promote companies - but this piece of kit by Trixter really did catch my eye. Probably not surprising that some commercial gyms like Virgin Active have already grabbed some... why shouldn't students have access to them as well? Lots of people building new schools talk about digital signage to promote the work of students, to give information and directions. Mainly they are talking about plasma screens or word displays giving messages. I am a fan of video walls that really make a statement - people do look at them. Inside, if placed in central areas or dining spaces they become a real focal point, if visible from outside schools, parents and the community can really get to know what is happening inside and we can really celebrate learning and the work of students through these interactive displays. Those against these displays talk about power usage (a good point) and the problem of maintaining it. Simple answer - get the students trained and get them to do it - they would love it! Whilst watching it, an advert for the Cayman Islands appeared - as one of my previous homes I am still very attached to it (and in this weather really miss the sun and the beach!!). I looked at it - so did many others - they seem to make a lot of sense really. What we all know is that if pupils are excited by ideas, or see the relevance of work, they are likely to go for it and be very engaged in their learning. The climax of this project was a games afternoon with everyone, including parents, playing everyone game. The final product is really good - we've all played it - (several times!!). The final games afternoon (and celebration) was fab. I suspect a few games had considerable parental input... but if so - what a shame! Children do get such a sense of achievement from doing it themselves, even if some one is watching them and encouraging them. It's not bad really, although I do just wonder why more teachers, in all age ranges, don't do more lessons using these pedagogies !! It's almost like we begin to 'de-skill' our students as they get older, and we limit the ways that we expect them to work, especially in some secondary schools. 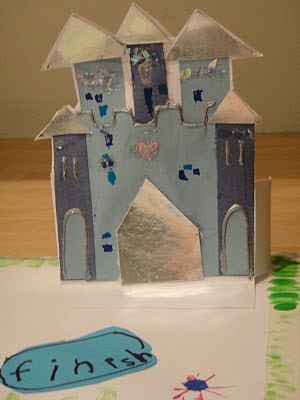 To end - I have to say my daughter did really well - after all she is only four! Interactive Plasma's in learning - any thoughts? This time I am asking for help - does any reader know where interactive plasma screens are currently being used effectively and regularly in schools? If so - can you let me know please? Using email is best - the address is on the right of this blog site.